Africa is a photographer's wildest dream. Capture wildlife images like a professional. The African continent, with its stunning scenery, plentiful wildlife and colourful tribes offers endless photographic opportunities. The amount and variety of exotic animals and birds to photograph in one safari is tremendous and can be daunting for both a first timer and enthusiast. 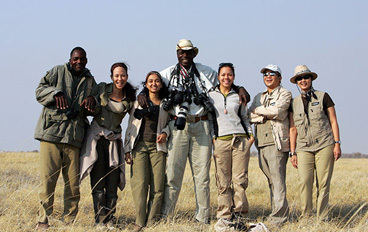 Our photographic safaris provide the unique experience of being guided by a wildlife photographer based in the bush who has decades of experience in photographing Africa's wildlife and landscapes. The digital age has vastly improved any traveller's photographic experience and cut his or her learning curve dramatically. This development is most profound in the safari space where high performance cameras are now available to all levels of photographers. 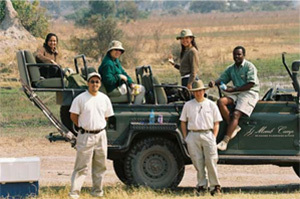 Photographic safaris are available on request and must be pre-booked. We will work with a professional photographer to customise your safari and the photographer will join you on your trip and help perfect your wildlife photography skills. At the end of each day on safari you will review the images together and go through the different post-processing techniques to get the best out of your images. These photographic safaris are invaluable in helping to capture action and special moments you experience during your safari. Bidding adieu to a Glorious 2018. New Adventures. Wanderlust. On the move again!